to inform the readers about significant events in the science life in this country. Ever since 2006, each issue of this annual edition has been indexed in the full-text database of EBSCO Publishing Inc., in the reference and bibliographical databases of VINITI – Moscow, and in Ulrich's International Periodicals Directory as well. Since 2015 this periodical has been published in a digital format only. 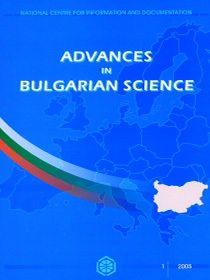 The annual edition of Advances in Bulgarian Science can be accessed online by subscribers only.